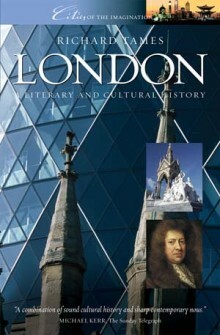 Describes how London has been chronicled, described, celebrated, named and mapped over the twenty centuries of its existence. London’s influence reaches across the globe. As a port, capital, imperial centre and wartime bastion, it has played an unparalleled part in history. Its contribution to music, fashion and taste knows no boundaries. As the home of printing, publishing and broadcasting in English, Europe’s largest city has been instrumental in spreading language, literature and laws across the Anglophone world. Yet London is also where more than three hundred other languages are spoken and a quarter of the population was born abroad.How did this happen? Richard Tames describes how London has been chronicled, described, celebrated, named and mapped over the twenty centuries of its existence to become a city treasured even by those who have never set foot in it as a byword for innovation and diversity. This is a book for both Londoners and visitors. It has been written for those who, knowing London, know that it is too vast, too complex, too elusive ever to be known but yet would know it better still. THE CITY VISITED: sights and sites; streets and squares; hotels and hospitality; shops and stores; markets and museums; parks and palaces. The world’s first underground, the birthplace of boxing and the miniskirt, Lloyd’s and Messiah. THE CITY IMAGINED: novelists and diarists; poets and painters; intellectuals and exiles; London as the magnet for talent and the City of Dreadful Night; cradle of crime and home to the Bloomsbury Group. THE CITY LIVED: homes of the famous; healers and hospitals; churches and cemeteries; sport and the suburbs; the most ethnically diverse city in the world. RICHARD TAMES is a London Tourist Board Registered Blue Badge Guide and the author of a dozen books about London. He has always lived there.